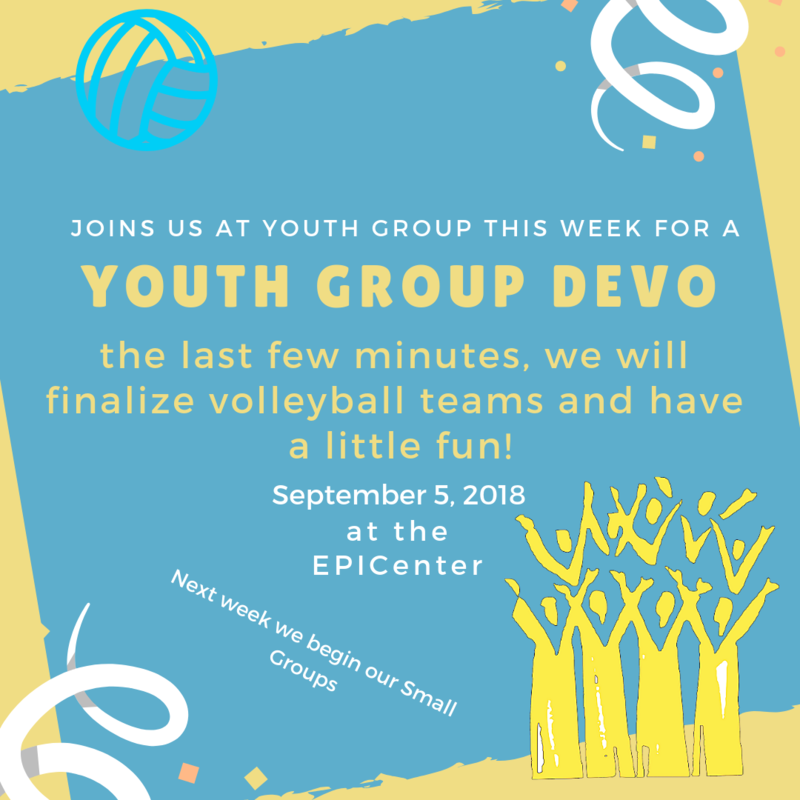 Come join us this Wednesday evening, Sept 5 for a devotional outside with a little volleyball to finish off the night. We will finalize our teams for the Neotez Volleyball Tournament and just hang out. We start small groups next week and it won’t be long until the days are shorter and cooler.